Gefen's Mono-LOK series of cables are perfect for highly demanding installations. It provides a secure and fixed way of connecting with the source and display. 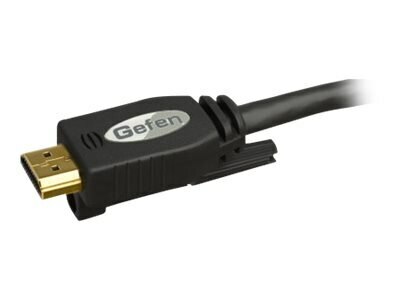 The Gefen Mono-LOK high-speed HDMI cables with Ethernet support all of the HDMI features, including an Ethernet connection through the HDMI cable, audio return channel, 3DTV, and up to 4K resolution.